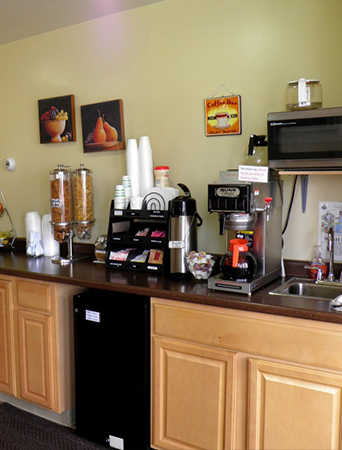 Travelers Inn offers a full array of amenities to appeal to all who stay with us, from casual travelers, to business people on the go, to families on vacation. All of our clean and spacious rooms include high-speed wireless Internet access. Didn’t bring your laptop or phone, or forgot to print out attraction tickets? We also have a computer and printer available on-site to check your email or search for nearby destinations. Our hotel offers a complimentary continental breakfast daily in our lobby, including cereal, pastries and fruit plus beverages, and a quaint and sunny dining nook offers a charming space to enjoy your morning meal. Additionally, we have a coin-operated laundry facility available for guests planning a longer stay or in case of emergency, as well as cold-weather hookups. Our Brunswick location also provides guests with convenient access to regional attractions, including world-class shopping at the Freeport Outlet Shops and LL Bean, both just a 15-minute drive away, not to mention the beautiful scenery of the Maine coast, several beaches and Reid State Park.